On the verge of the new century, the print blade media was still heavily dominated by the legendary publication that ignited a whole movement. Daily Bread magazine was available in bookstores worldwide, and an angry youth stole every issue at their local press retailer. In addition to Daily Bread’s indisputed reign, UK folks read DNA, French frogs Crazy Roller, and the Germans had Inline, not to mention the countless other publications, all over the globe. Then 2001 came, and when the ISPO took place in August, a strange, square formated demo of an upcoming magazine surfaced. 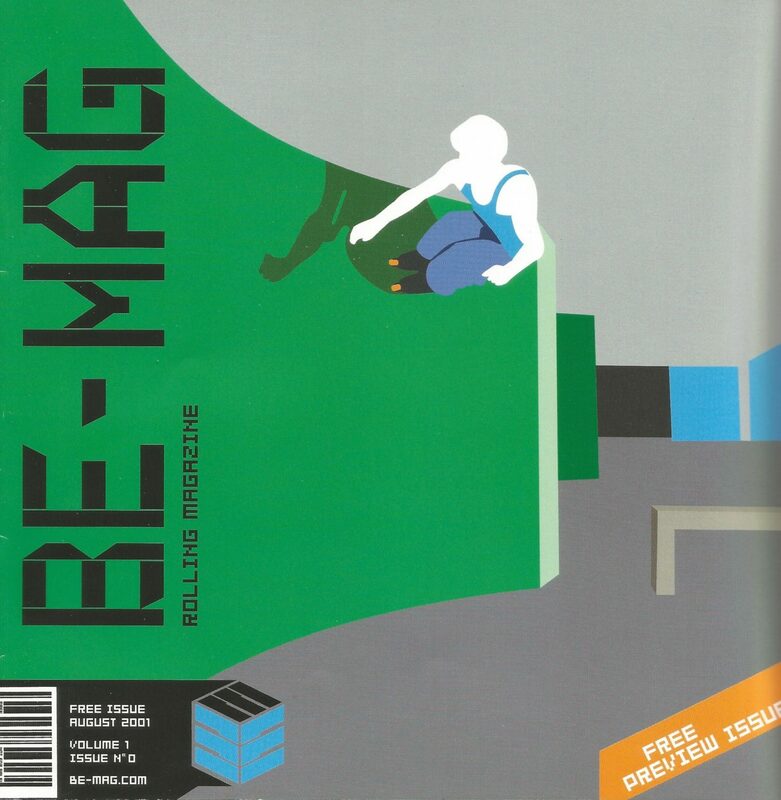 The cover featured some weird art which looked like no other, but its content left little room for doubt: after being born as a newsletter back in 1997, and then evolving as a complete website throughout the years, Be-Mag had now turned into a full print publication. Despite the overall downfall of print during this past decade, we haven’t stopped ever since. Our Daily Bread has been taken from us. DNA, Crazy Roller, Inline, and so many other magazines that were born in the Nineties are long gone now. However, Be-Mag has been the voice of a new generation. It has been the main media source of the 21st century for blading, and there’s no plan to stop doing that anytime soon. As we are currently working on our 42nd issue, we wanted to introduce this new Throwback section with something very special. Here we give to you, Be-Mag’s issue #0.